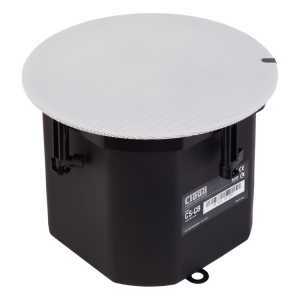 Ceiling Mounted Speaker - Akwil Ltd.
Ceiling Mounted Speaker There are 5 products. The Cloud CS-C3 In-Ceiling Speaker is a 3" full range loudspeaker featuring exceptional intelligibility and musical performance. Using components, the CS-C3 offers high musicality, with high intelligibility, prioritising bass response over sensitivity. The Cloud CS-C5 In-Ceiling Speaker is a 5-inch coaxial two-way loudspeaker featuring exceptional intelligibility and musical performance. Using premium drivers and electronics, the CS-C5 offers high sensitivity, smooth frequency response and excellent off-axis performance. The Cloud CS-C6 In-Ceiling Speaker is a 6-inch coaxial two-way loudspeaker featuring exceptional intelligibility and musical performance. Using premium drivers and electronics, the CS-C6 offers high sensitivity, smooth frequency response and excellent off-axis performance. The Cloud CS-C8 In-Ceiling Speaker is a 8-inch coaxial two-way loudspeaker featuring exceptional intelligibility and musical performance. Using premium drivers and electronics, the CS-C8 offers high sensitivity, smooth frequency response and excellent off-axis performance. 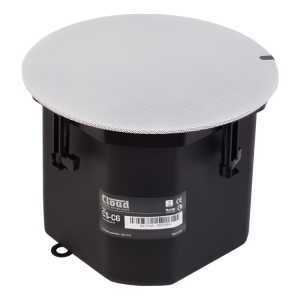 Do you have a question about one or more of our Ceiling Mounted Speaker products? Click below to contact us.